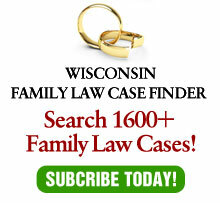 In the category of “just when I think I’ve heard it all”, the ABA Journal reported on a case where a man sued a judge for having an affair with the man’s wife while a child support case was pending before him. Apparently, this does not give rise to a civil rights violation under the doctrine of judicial immunity. Fortunately, the Michigan Supreme Court removed the judge from office. It is not infrequent that a client will question the impartiality of a judge, but it usually relates to whether they tend to generally prefer men to women or vice versa in some manner.